The Miss Eng'g (Engineering) womanless beauty pageant at the College of Engineering, University of Philippines-Diliman is one of the best, if not the best womanless pageant conducted at an educational institute or anywhere else for that matter. 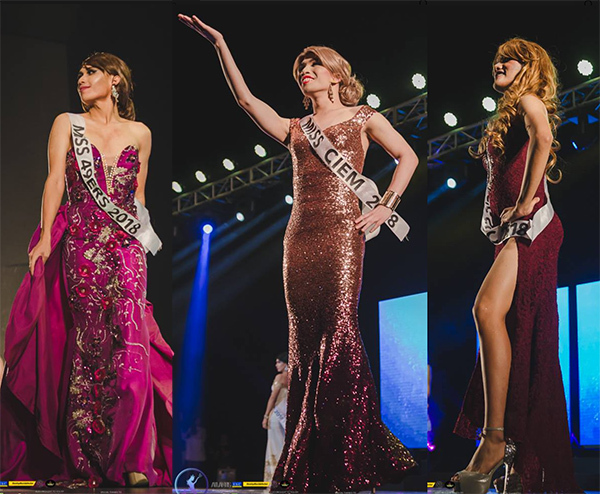 This year's edition of the pageant was held on March 9 and the Miss Engineering Facebook page has hundreds of photographs documenting the pageant including an album of spectacular evening gown photos (samples above and below). In the 1969, I was a student in the UConn School of Engineering and I cannot imagine my fellow engineering students participating in anything like this. Me, yes, but not the other students in my school! 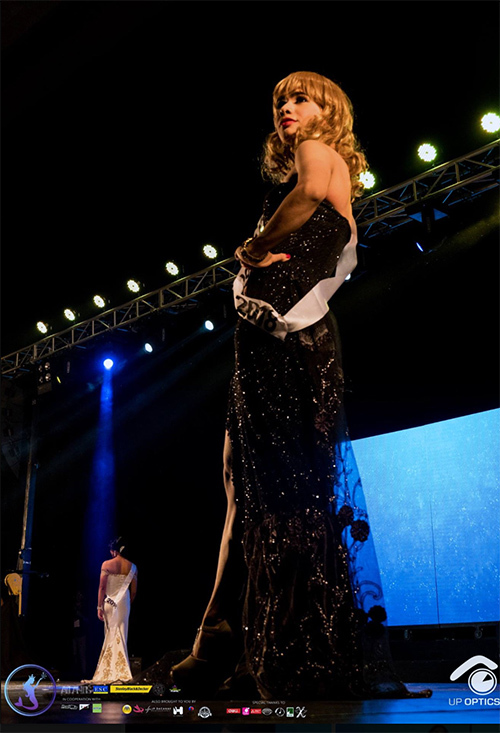 A contestant struts his stuff in the evening gown competition of the 2018 Miss Eng'g womanless beauty pageant. You really gotta hand it to 'Miss 49'ers Club' for a GREAT job of engineering the proper structural accoutrements for holding up that top! I tend to discount Asian femulations because most Asians can crossover very easily.